The Toyota Tacoma, long known as the king of compact truck sales is one durable and dependable vehicle. Yet, it has one big detractor, it vibrates unnecessarily in certain driving situations. What’s the deal Toyota? 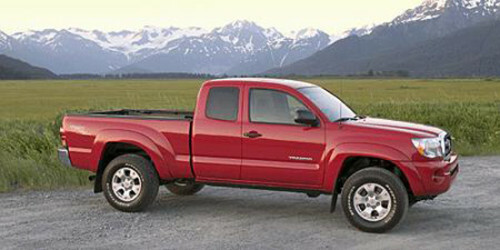 It is a well-known fact that Toyota Tacoma pickups vibrate or shudder during certain driving situations. It is just a matter of how bad. In order to understand this issue, we went to a local Toyota dealer and took a Tacoma out for a few hours. We drove highways and streets, up hill and down. The truck performed admirably except when driving 15-25 mph through different school zones or up hill. The fact is that it shuddered through the seat and a little on the steering wheel. This minor vibration was really more of an irritant than anything else, yet why does it exist? Does it have to do with the shaft angles or an engineering oversight? What is Causing the Vibration? The vibration is thought to be coming from a variety of places with no general agreement between owners, service managers and Toyota. Some feel it is a two-piece drive shaft issue, others think it is a rear engine mounts and leaf springs, while others think it has to do with drive shaft angles. Owners like those on Toyota Tacoma forums like Tacomaworld.com say the issue is about angles and the two-piece drive shaft. There are many owners who have decided to address the issue on their own and work out their own fixes. One of the common fixes deals with inserting shims to change this angle. While not every truck is completely fixed, many owners are reporting great results. There is actually a complete guide on Tacomaworld.com with specs for angles and how to find the right angle. Again, not a complete solution for everyone with greater success for those with lifted Tacoma pickups. Could this two-piece Double Cardan drive shaft be the problem? Is a one-piece drive shaft a better idea? There is also a belief that the issue rests in Toyota’s use of a two-piece drive shaft. Most people we spoke to question the reasoning behind a two-piece drive shaft and that a one-piece shaft would reduce a lot of the issues. In fact, a few owners with lift kits, have replaced the drive shaft with a one-piece. They report great success with this approach. The truth is the vibration issue goes all the way back to 2005 (maybe farther) when Toyota issued a Technical Service Bulletin to address the issue. They recently expanded the TSB for all 2005-2013 models with a drive line vibration. The fix talks about a variety of ways to address it related to the rear engine mount, rear leaf springs and a steering wheel damper. This leads one to believe that Toyota believes the issue comes from the rear of the vehicle. Will axle shims address the issue? Toyota seems to think not with none of their TSBs offering it as a solution. While at our local dealer, we spoke to the service manager about what he is seeing and how they have addressed the issue. He told us that frankly, the Tacoma pickup does vibrate and that some trucks inexplicably vibrate more than others. They have tried all the fixes Toyota has advised – none of them really addressed the issue. 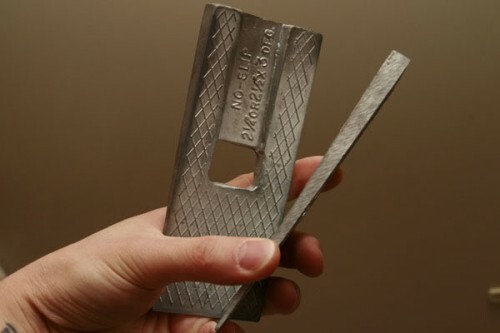 They also tried a variety of the owner supplied remedies dealing with adding shims and changing the angles. No luck there either. In the end, he doesn’t really have a great answer to tell complaining owners. There doesn’t seem to be any one-size-fits-all solution to this problem. The facts are that stock Toyota Tacoma pickups shudder or vibrate at certain speeds. Some vibrate more than others and nobody has a real good idea why. The only real solution is to deal with it. In our test drive, we found it rather annoying in those low-speed driving circumstances, but it was really minor and not a deal breaker. Yet, there are some trucks out there that could vibrate more. Hopefully, someday Toyota will finally figure out a way to adequately address the issue. One does wonder if it is just a by-product of the truck’s design. Maybe then it will never be completely solved. What do you think? What has been your experience with the vibration issue? I HAVE A 2002 TACOMA DOUBLE CAB 4X4 , THAT HAD A VIBRATION COMING FROM THE REAR DRIVE SHAFT AS WELL(AT FACTORY RIDE HEIGHT).I HAVE OWNED IT SINCE 2002. AFTER PUTTING LARGER TIRES ON IT , WITH A 3″ BODY LIFT THE VIBRATION INCREASED (NO SUSPENSION LIFT AT ALL).THAT IS WHEN I REALLY STARTED TO INVESTIGATE THE PROBLEM.I BROUGHT IT TO A DIVE LINE SHOP (THE ONLY ONE IN THE STATE) THEY SAID THE DRIVE SHAFT WAS FINE. TO MAKE A LONG STORY SHORT , I TOOK MATTERS INTO MY OWN HANDS , AND FOUND OUT THAT MY REAR AXLE PINION ANGLE (FACTORY) WAS DIPPING TO LOW .WHICH MEANT , I HAD TO SHIM MY REAR AXLE . THE ONLY WAY I COULD DO THIS ,WAS WITH A DIGITAL PISTOL LEVEL, BY MEASURING BOTH MY REAR COMPANION FLANGE ON MY REAR AXLE AND MY REAR MOST DRIVE SHAFT BETWEEN MY CARRIER BEARING AND AXLE. I HAVE READ THAT WITH A DOUBLE CARDON JOINT, THAT WE HAVE HELD UP BY OUR CENTER SUPPORT BEARING, YOUR REAR SINGLE CARDON JOINT NEEDS TO BE AS CLOSE TO 0 DEGREES AS POSSIBLE ( WHILE DRIVING) . THE SECOND THING TO MENTION IS THAT THE REAR AXLE WILL TILT UPWARD WHILE EXCELERATING AND DOWN WHILE DECELERATING , SO THE AXLE AT REST SHOULD BE ABOUT .3 OR .4 DEGREES DOWN FROM THE DRIVE SHAFT AT REST. ONCE I ACHIEVED THIS THE VIBRATION DISAPPEARED .I HOPE THIS WILL HELP, SINCE IT DROVE ME CRAZY . I HAVE A 2013 TOYOTA TACOMA, 4 DOOR, 4 WHEEL DRIVE. IT TOO HAS A VIBRATION ONLY ON TAKE OFF AT ONE SPECIFIC SPOT AND THEN, IT IS SMOOTH AT ANY SPEED. I HAVE TRIED IT IN 4WD AND 2WD WITH SAME RESULTS. WISH I COULD HAVE SEEN THESE POSTS BEFORE I BOUGHT IT. I too have a 2006 Tacoma 2wd. I first noticed the vibration after the truck was out of warranty (naturally). Since then, it has gotten worse and at one point it vibrated so hard at low speed (5-15mph) I thought the transmission was coming apart. I replaced the carrier bearing for the drive shaft. That fixed the worst of the vibration for about 2000 miles, but now I feel it starting again at between 5-15 mph. All other speed ranges it is smooth. Whats really disappointing is that Toyota is doing nothing for their customers despite an obvious design flaw! I guess it will take someone’s drive train failure which results in a fatal accident to get them to determine a real fix and issue a recall. Come on Toyota…do the right thing. Don’t be a GM.